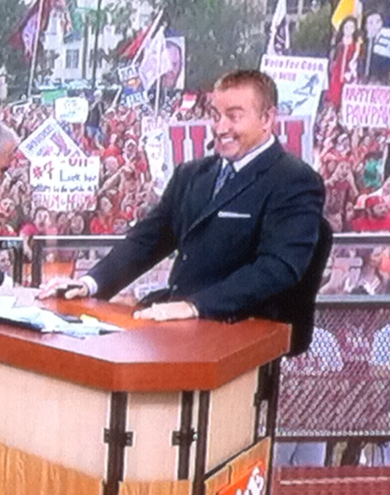 Kirk Herbstreit is very pleased you have chosen to look at the page. When he is not ducking for cover from whatever live animal Lee Corso decides to bring to the set each Saturday he picks games, and here they are! He also picked Alabama last year and Auburn the year before (when NO ONE picked them). I am not from Ohio, and I think he is the best analyst in college sports. He is also a nice guy. Him and Musberger are the most enjoyable team on air. Kirk knows his business and Corso is great to watch on Saturday mornings ….when corso shot the gun for Oklahoma and Kirk ducked I died laughing!!!! !Welcome back Gameday…missed the laughs and commmentary….